How does AOM group of performers work together? During the rehearsals that takes about 2 hours per week we are both discussing and playing. 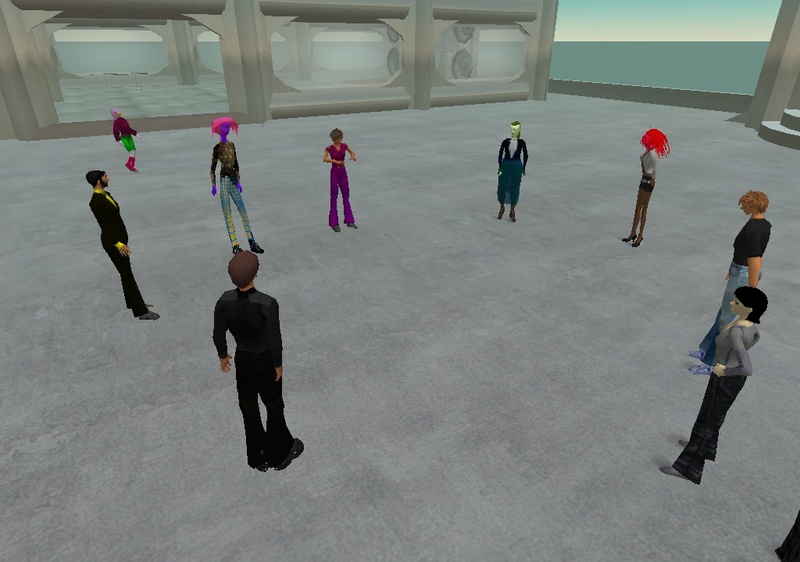 We talk about and play old and new pieces at different locations to find out for performances in Second Life. Also we discuss plans and elaborate together about future performances and ideas carried out by a composer, member or not member of AOM group. 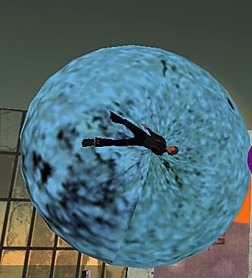 1- Ensure that the camera avatar is wearing a flight feather (I can pass one of these around) as the wheel has been installed in a space with strong gravity. 5- The conductor occasionally stops conducting and the performers will try to stop performing until the conductor continues conducting again... The composision does not end until the conductor says, /THE END. How does AOM create a HUD interface to play a piece? 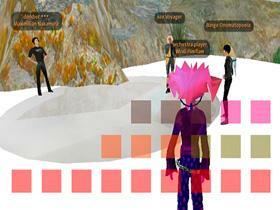 A creator of interface with AOM communicate the ideas to invent it with others. So at the same time he/she compose with architecture and possible avatar choreography. It’s a collective process that can be recognized in lenghty discussions during rehearsal and in the mailing list of AOM about how to implement differents things technically, estethically and also conceptually. When the interface is beginning to take shape, at least in the head of the creator, next step is taking place and that is the technical programming of the so called HUDs (Heads Up Display). Usually this includes filling in specifications on how the HUD shall control sounds and avatar movements. The HUDs are programmed in the language called LSL (Linden Script Language). The first HUDs made for AOM where simple and used only a single user interface with playing buttons visible (screen interface) only for the avatar orchestra player. 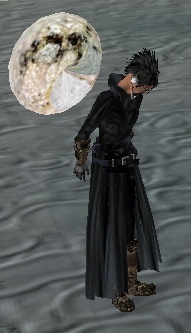 Later HUDs have animations of avatars included and visible wearable soundsack on avatars back. live performances (see in progress).